Recorded by The Clancy Brothers and The Dubliners, also by Shane MacGowan and the Popes. Including the easy to follow letter notes along with a youtube video. 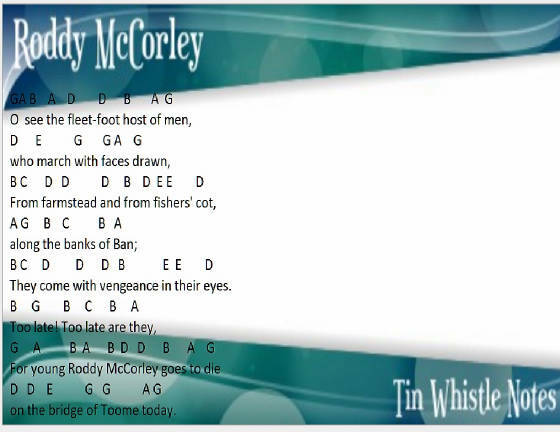 Roddy McCorley letter notes for learners of the Irish tin whistle.